That's 56.22% OFF dealer price! Replace My Remote’s extended warranty protects you if the product you purchased from us stops functioning at any time up to 2 years due to malfunctioning electronics or parts. The extended warranty must be purchased at the time of product purchase. Coverage Terms: Warranty extends from the original purchase date through 2 years. 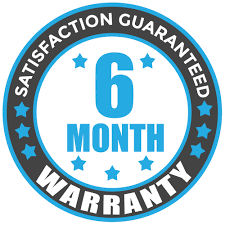 A replacement is still covered within the original 2 year warranty period. Product Covered: The exact product/part number purchased from Replace My Remote. IMPORTANT NOTE: All of Replace My Remote’s products are specially marked and are trackable only by us. In short; we know if a returned product is ours or not. Warranty returns that do not pass our scan will not be serviced. Cancellation: The extended warranty is non-refundable and cannot be cancelled. A. LKC Services Inc.'s Responsibilities. Office at 56 N. Market Street, Elizabethtown, PA 17022 ("LKC Services Inc.", "we", or "our") and the purchaser (the "Customer", "you", or "your") of the LKC Services Inc. document camera covered by this Agreement (the "Product"). LKC Services Inc. or its authorized service provider will provide you with the services that may be necessary to maintain proper operation of the Product under normal operation and service for the duration of this Agreement and without additional charge (the "Service"). The Service is described in more detail below. LKC Services Inc. is legally obligated to perform the Service under this Agreement. replacemyremote.com, or, if you purchase from a reseller, then it is the price stated in materials made available to you by that reseller before you purchase. The fee is not refundable except in case LKC Services Inc. terminates the Agreement under section G.3 below. Customer is responsible for any taxes arising from the Service. Payment by you of the full fee and applicable taxes. 2. We inspect the remote prior to the acceptance of this Agreement to verify that the Product is in unaltered, operable condition and good working order suitable for normal use. The item may be in new, used, or refurbished condition. 3. LKC Services Inc. is not obligated to provide Service if the Product has been sold, lost, stolen, or destroyed. Sale of the vehicle constitutes sale of the remote. D. How to Obtain Service. 2. Your Order number and SKU#, found in your Order confirmation email, must be given when you request Service. E. What Service LKC Services Inc. Will Provide. Shipping the problem unit back to LKC Services Inc. You should retain copies of all shipping documentation for a minimum of 90 days, and you must provide copies to LKC Services Inc. if requested. k. Service or repair made necessary due to use by or damage caused by third parties or third-party products. 2. If you authorize LKC Services Inc. or an LKC Services Inc.-authorized service provider to perform any services excluded under this Agreement, you agree to pay the usual and customary fees for such work. 3. If a claimed problem cannot be identified or reproduced in Service, you agree to pay for costs incurred. You must pay for any shipping costs back to you in this case as LKC Services Inc. is not responsible for return of goods in this case. G. Term of Agreement; No Cancellation or Transfer; Renewal. 1. The term of this Agreement shall begin on the date the original 30 day replacement warranty ends, and continues for two years thereafter. 2. You may not cancel this Agreement. You may not transfer or assign this Agreement without the prior and express written consent of LKC Services Inc., and any purported transfer or assignment shall be void. 3. LKC Services Inc. may at any time terminate this Agreement by reimbursing you for the fee you paid, minus sales tax. In that case LKC Services Inc. shall have satisfied all obligations owed under this Agreement. 4. We may renew this Agreement, but we are not obligated to do so, nor to accept a service plan order if you give us one. We reserve the right to modify the terms and conditions applicable to any renewal and to change the renewal fees. We are under no obligation to email any changes to this Agreement if and when changes are made. H. No Warranty; Limitation of Liability. RELATING TO THE SERVICE. LKC SERVICES INC. SPECIFICALLY DISCLAIMS THE IMPLIED WARRANTIES OF MERCHANTABILITY AND FITNESS FOR A PARTICULAR PURPOSE. 2. IF THE REPLACEMENT REMEDY PROVIDED IN THIS AGREEMENT FAILS, OUR ENTIRE LIABILITY SHALL BE LIMITED TO THE AMOUNT YOU PAID FOR THIS AGREEMENT. THE LIMITS IN THIS SECTION H MAY NOT APPLY. LKC Services Inc. employee or other person is authorized to make any representations or statements, which are inconsistent with this Agreement. Any such representations or statements are void. Neither the course of conduct between the parties nor trade practice shall act to modify any provision of this Agreement. 2. This Agreement shall be governed by and construed in accordance with the laws of the State of Pennsylvania, exclusive of its provisions on conflicts of laws. Any dispute relating to the Service or Products provided under this Agreement shall be brought exclusively in a court of competent jurisdiction sitting in Harrisburg, PA. The prevailing party shall be awarded reasonable attorney fees, and all other costs and expenses incurred in connection with the proceedings. Any cause of action you may have with respect to this Agreement must be commenced within one (1) year after the cause of action arises. Please enter your vehicle's Year, Make & Model so we can provide the proper programming information with your product if applicable. Your purchase gives you 100% free e-mail and phone technical support from our expert staff. Programming instructions are provided for free. You may view/print them from the" Programming Instructions" tab above. 2. Perform these steps within 5 seconds. A. Insert the key into the ignition(Do NOT Turn) Pull key out. B. Insert the key into the ignition(Do NOT Turn) Pull key out. 3. Perform these steps within 40 seconds. A. Close then open the drivers door. B. Close then open the drivers door. C. Insert the key into the ignition(Do NOT Turn) Pull key out. 4. Perform these steps within 40 seconds. C. Insert the key into ignition and leave it in ignition. D. Close the drivers door. E. Turn the ignition to ON (Do NOT Start) then back to OFF. F. Remove the key from the ignition. indicating successful entry into programming mode. Return to step 1 if the locks do not cycle at this point. 6. Perform these steps within 40 seconds. A. Press the lock and unlock buttons on the remtoe simutaneously for 1.5 seconds. C. Repeat steps A and B in step 6 for each new remote. Obtain all remote transmitters for this vehicle. 1. Start with key out of the ignition, open and unlock drivers door and be sure all other doors and trunk are closed. 2. Insert key into ignition (Do not turn) and pull it out. 3. Perform these steps within 40 seconds. A. Using the power door lock rocker switch on drivers door perform 5 lock/unlock cycles starting with lock. Use an even pace and try to go about one cycle per second. (1 cycle = 1 lock and 1 unlock.). 4. Close, then open drivers door. 5. Perform these steps within 40 seconds. A. Using the power door lock rocker switch on drivers door perform 5 lock/unlock cycles starting with lock. Use an even pace and try to go about one cycle per second. (1 cycle = 1 lock and 1 unlock.) B. Insert the key in the ignition cylinder. C. Turn the ignition to ON (Just shy of starting car, Do NOT Start) then back to OFF. D. Turn the ignition to ON (Just shy of starting car, Do NOT Start)) then back to OFF. E. Remove the key from the ignition. 6. Within 3 seconds the power door locks should cycle automatically indicating successful entry into programming mode. Return to step 1 if the locks do not cycle at this point, if they do cycle then continue to step 7. 7. Perform these steps within 40 seconds. A. Press the lock and unlock buttons on the remote simultaneously for 1 second. B. Immediately after letting go of the lock and unlock buttons, Press the lock button by itself and hold for 2 seconds. Within 3 seconds the door locks should cycle once indicating successful programming. If the door locks don't cycle or cycle twice, repeat steps A and B, your remote has not been accepted. C. Repeat steps A and B in step 7 for each new transmitter.